I&apos;ve had a Vesper XB-8000 installed in the lab for the last month, and I&apos;m confident that it will do well in a long test on board Gizmo beginning in May. 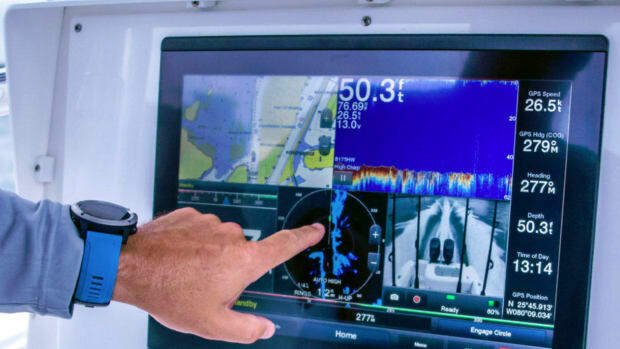 I will miss some features of the Vesper Vision I tested last season, but having the blue box installed behind the scenes will help me test the glass bridge concept (one MFD brand, many screens), and at $799 I think the XB-8000 is a multifunction value that could work on a wide variety of vessels. The recent testing also revealed some new features that apply to both the XB and the Vision as Vesper continues to expand on the concepts expressed in the 3-in-1 diagram above. Let&apos;s start with a look at XB-8000 results. 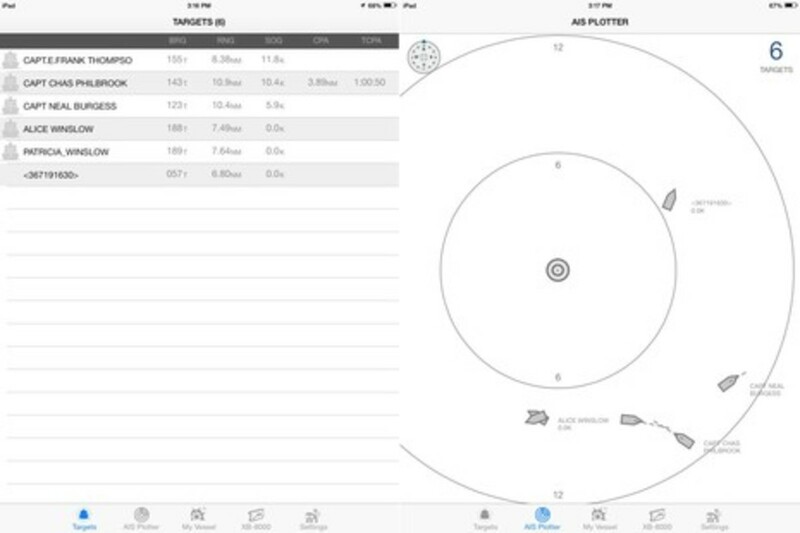 The SEAiq app above is running on an iPad that&apos;s connected by WiFi to the XB and it&apos;s showing the same GPS and AIS data I saw coming from the Vision last summer. That&apos;s quite useful in itself, but note the addition of depth and wind. The XB-8000 (or the Vision) can now serve as a NMEA 2000 gateway, translating data on my network into a form that can travel over WiFi and that many apps can understand. 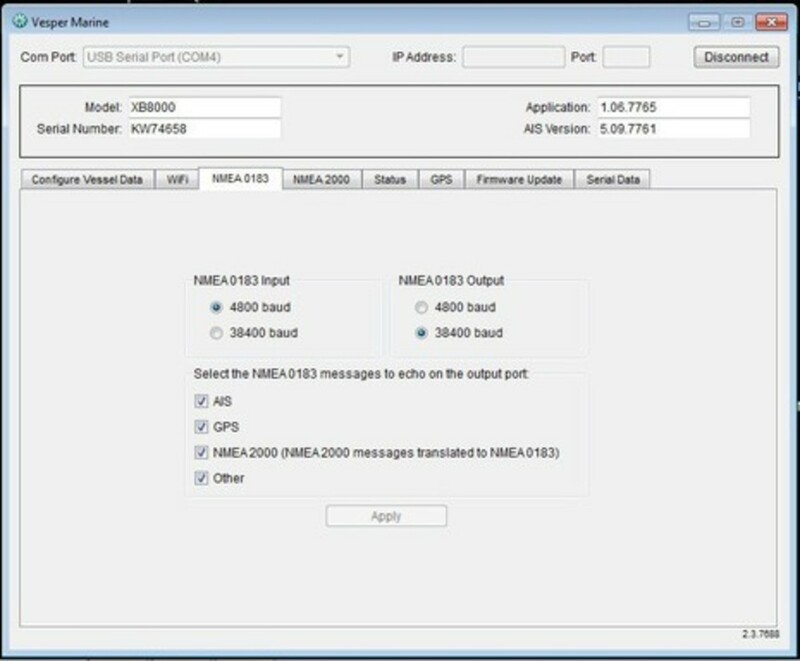 Only major N2K message types (PGNs) are supported -- wind, depth, speed, heading, log and temperature so far -- but the XB (and Vision) have other data gateway and multiplexer features. Above is a screen from the much revamped Vesper PC (and Mac) Configuration and Status Utility software that owners can download here. 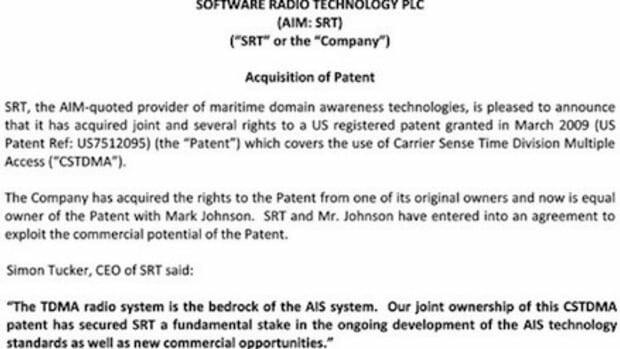 Many of the settings aren&apos;t available for any other transponder I&apos;m aware of. 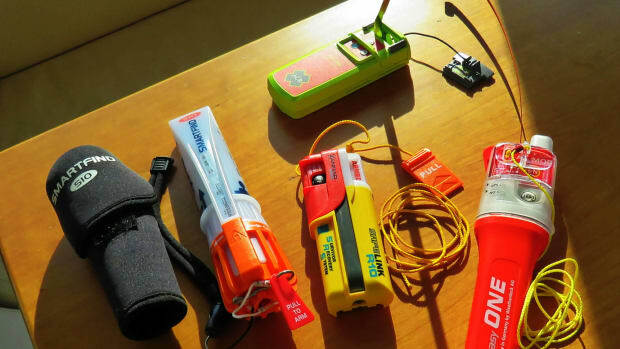 For instance, checking those NMEA 0183 boxes above means that I could be sending the translated 2000 wind, depth, etc. data to an older MFD that didn&apos;t have an N2K port or to a charting program running on the same PC that&apos;s connected to the XB-8000 by USB cable (or via WiFi, as seen in the screen below). 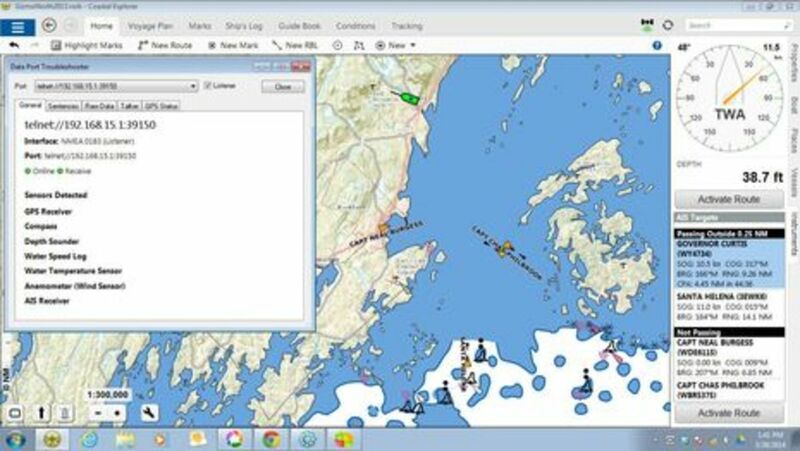 Vesper has also significantly improved its NMEA 2000 GPS output. 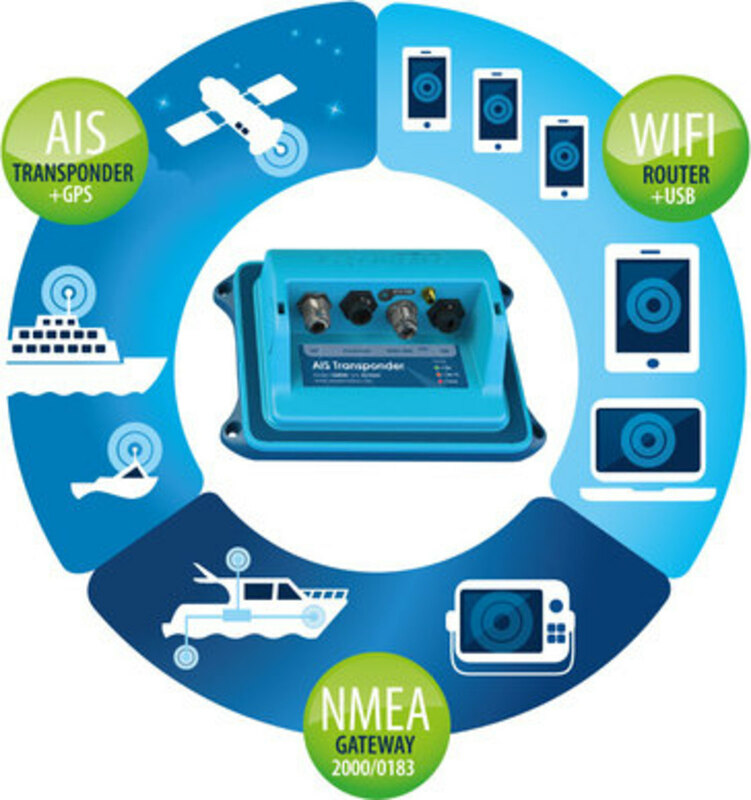 It&apos;s always been confusing that while Class B AIS transponders are required to have good GPS receivers built in, their NMEA 0183 or 2000 GPS output is often unusable by other devices. 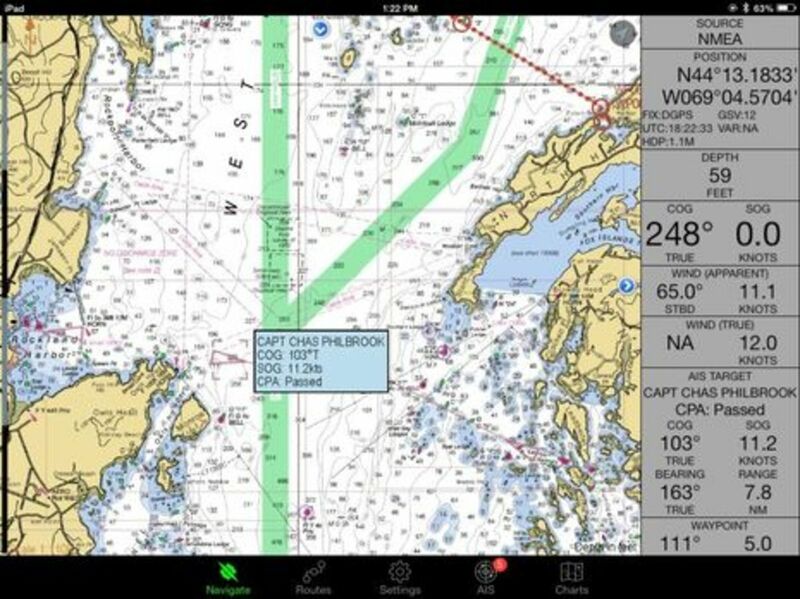 This is true because many MFDs and chart plotters won&apos;t recognize GPS as valid unless they see some or all of the secondary GPS data messages like "satellites in view," but the standard NMEA 0183 AIS connection -- though called "high speed" at 38,400 baud -- barely has enough bandwidth to carry all the AIS target info for a busy area. 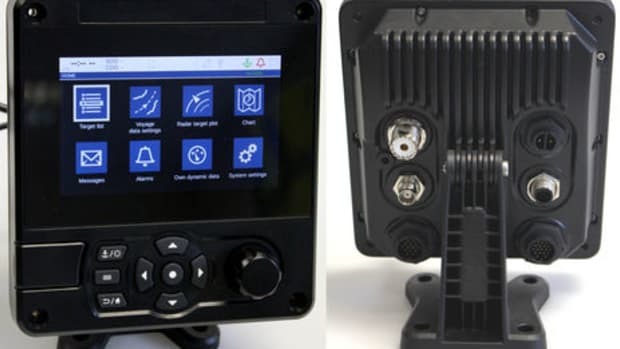 While charting apps and PC programs are often more liberal about GPS validity, it&apos;s always seemed possible that a transponder with a much wider bandwidth N2K connection could provide enough GPS data to be the primary or backup GPS source for the fussier plotters on a network. As far as I know, though, Vesper is the first to do it, as partially illustrated above, and I saw it work pretty well in the lab. The Raymarine a77 and e127 (that I&apos;ve been testing LightHouse II on) as well as the Simrad NSS8 MFD and RS35 VHF radio all see the XB-8000 as a valid source of NMEA 2000 GPS (and of course all the MFDs also displayed the AIS target data it&apos;s outputting). 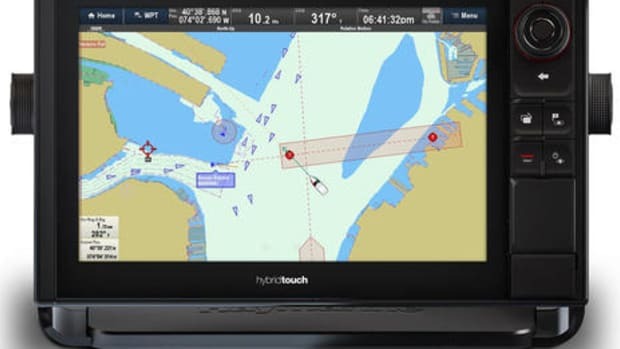 The Ray and Simrad GPS diagnostic screens above suggest how thorough the XB&apos;s GPS output is (and I assume Vision output is the same). 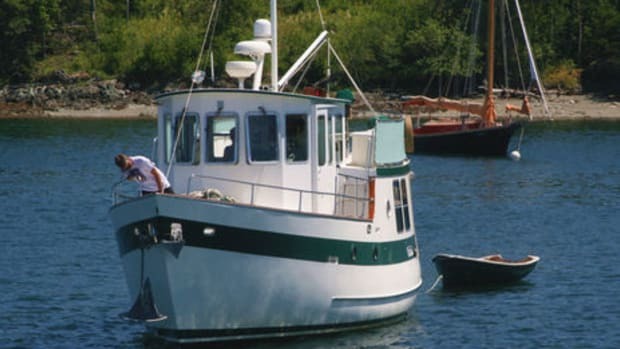 While many GPS receivers offer extra high update rates and/or GLONASS support these days, an AIS transponder that also serves as a GPS has extra value for many boats. 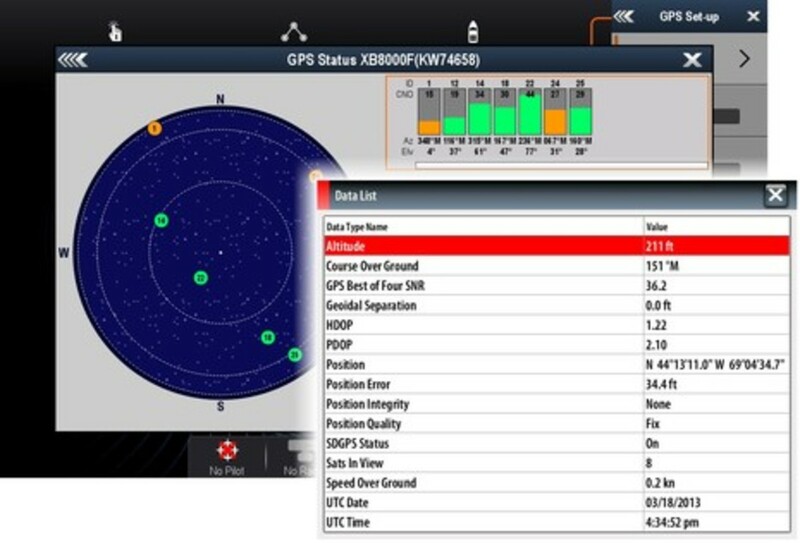 Vesper&apos;s utility software gives the XB-8000 the same flexible WiFi management that I experienced with the Vision. It&apos;s not just easy to change its access point name (SSID), password, IP address, etc., but it&apos;s also easy to have it join an existing onboard WiFi network (even with a preferable static IP address). 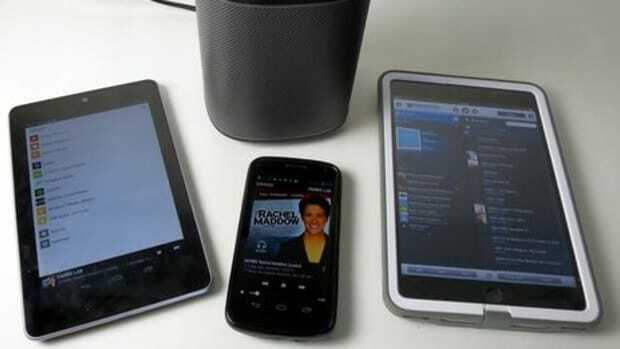 The result on a boat like Gizmo is that tablets and phones can use XB data, while also being online and having app access to other onboard devices like a Fusion 700 stereo system. I only tested WiFi client mode briefly in the lab (because my home WiFi signal is so weak there), but I did confirm that I could even use it to run AISdispatcher and thus send the XB target data to MarineTraffic (recent Panbo discussion here). I continue to lobby Vesper to build AISdispatcher-type functionality right into the XB and Vision, which would mean that a boat could serve as volunteer station while only running the transponder and perhaps a high power WiFi system like the Rogue Wave or NautiCloud. Please speak up if you, too, would value that extra feature. Vesper&apos;s own iPad and iPhone app WatchMate can&apos;t do all the deep configuration that the PC and Mac software can, but it, too, has been improved. For instance, that informative AIS Plotter screen above is new. But what you can&apos;t see on the screen is how all those target vessel names (and underlying detail) filled in the moment the app was opened. 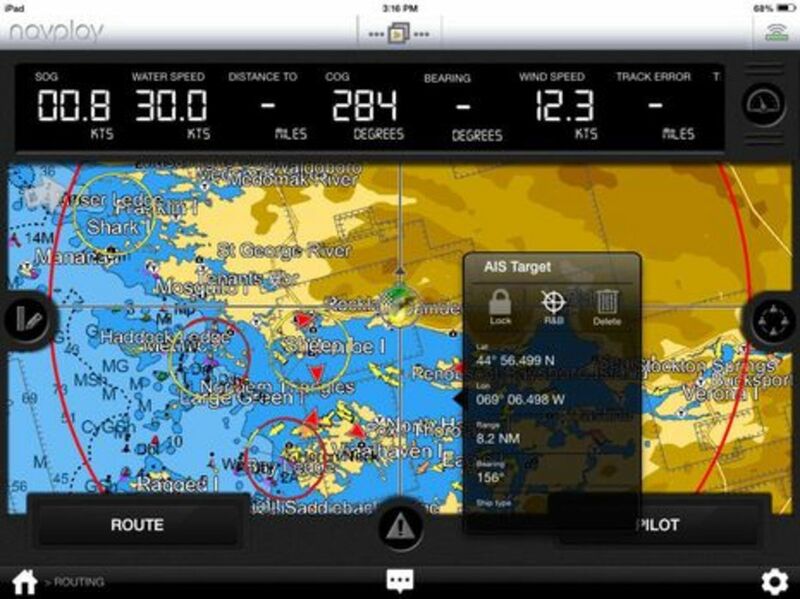 Vesper calls this feature "Instant Target Acquisition" and both the XB-8000 and Vision can only deliver it to the app, but remember, static target data like vessel names even when powered down. 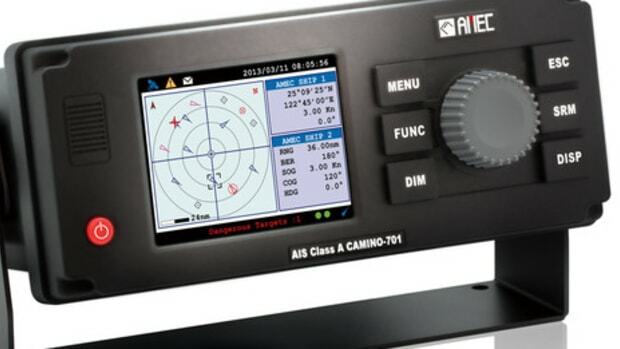 Usually, it takes a while for any AIS app or display to collect all the available static target data because it&apos;s only broadcast every six minutes. Vesper tells me that Instant Target Acquisition from the XB or Vision is available to any developer who&apos;d like to work with them, and they try to maintain a list of apps that already work with Vesper WiFi output. They&apos;ve also launched a partnership with an ambitious new iOS app called NavPlay. In my preliminary testing, NavPlay is still a work in progress, and I also tend to agree with Francis Fustier&apos;s pricing concerns. But it does have some lovely design features -- you can draw a route with your fingertip -- and I&apos;m sure we&apos;ll see it not only mature, but add new data integration features as Vesper adds them. In the meantime, I&apos;ll close with a Coastal Explorer 2011 screen that nicely illustrates the power and value that the XB-8000 offers right now. 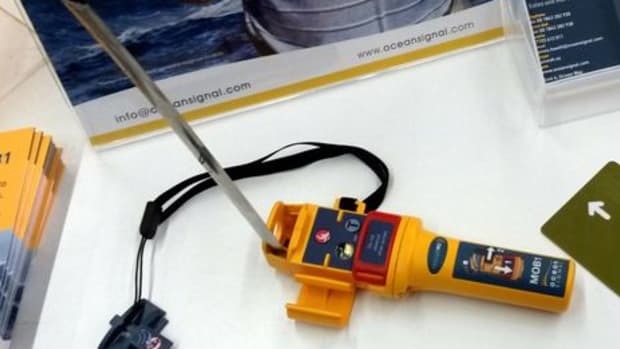 CE is running on a PC that&apos;s only connected to the lab&apos;s NMEA 2000 network via XB WiFi, but look how many data sensors it sees.